Mobile home staging is a seldom utilized property marketing tool, which can help sell new or used mobile homes, trailers and RVs quickly and for maximum profit. Anyone in the market for a mobile home wants the house to embody comfort and style, which is exactly the look and feel provided by property staging services. Staging a mobile home is extremely easy, since there is typically very little which needs to be accomplished, due to size and functionality requirements. However, even enhancing the bare basics in mobile house will certainly improve the residence and make it much more appealing to potential buyers or renters. 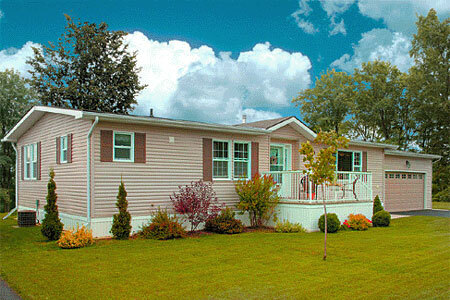 This discussion focuses on mobile home enhancement tactics that can be completed for minimal financial cost. What is Mobile Home Staging? Home staging techniques can be used in any space designed for living. Even in the limited square footage of a mobile home or trailer, staging can have a profound effect on the aesthetics of the space. Staging is generally performed on model mobile homes in dealerships and also may be one of the best methods of appealing to potential renters at mobile home and trailer parks. Having a fully staged and exquisite model is the best way to help renters or buyers see exactly how nice a mobile home can truly be, with a conservative investment of time and effort. Be sure that all of the appliances work well and are easily accessible. Be doubly sure that utility controls are understandable and functional. Cleanliness really counts when staging a small space, so be sure the unit is spotless before showing it to prospective buyers or renters. Furniture placement may be very limited by space. Choose items which will provide the most impact in small spaces. For rental units, consider allowing a tenant to rent the space fully furnished, in order to make the most long-term profit from the furnishings provided. Make sure windows are not covered or concealed. Keep window treatments very light and airy to allow the maximum amount of natural light into the unit. Be sure there is a screen door to allow more light into the trailer when leaving the main door open. Keep clutter to an absolute minimum. Do not over-accessorize. Instead, choose a few high-impact items to dress up the space, including some natural materials, like flowers, plants or craft-style art. Be sure the unit smells fantastic and is well ventilated. Check the flooring for signs of wear and tear. Repair or replace as needed. Selling a mobile home, RV, or trailer is generally one of the easiest transactions in the real estate industry, since the house usually does not come with land. Renting a mobile home is always a profitable venture, when the owner takes time and effort to maximize profit by selecting a good tenant, a fantastic location and by maintaining the quality of the unit. Remember that home staging is proven to increase sales and rental price, regardless of the type of unit being staged. A final thought when staging a trailer or mobile home: Be sure to show just what is possible on both the inside and the outside of the unit. Address the exterior space aesthetically and functionally to increase the perceived usable space and charm of the unit.